We’ve also released a new version of Jeff’s book Take Control of Lightroom CC. Last fall, Adobe released a new version of its Lightroom application, Lightroom CC, that is specifically designed for cloud interaction, and meant to appeal to users who want to do more than the basics with their photos, but want something more streamlined and simplified than Lightroom Classic CC or Photoshop. In Take Control of Lightroom CC, Jeff gives a thorough but accessible guide to the new Lightroom CC. He explains where it fits in the Lightroom ecosystem, then moves on to detail how to import, manage, and professionally edit your photos using Lightroom CC. For those who want to keep using Lightroom Classic CC, he also looks at how the two apps can work together. But, we’re also offering a special bundle of the two books together for $20, which is even less than what you’d pay with the MUG discount on the individual titles! Summer is almost over (in our neck of the woods, anyway) and that means the next releases of Apple’s macOS and iOS are right around the corner. We’re pleased to offer you three new titles that provide early access to what you need to know about High Sierra and iOS 11, and to give you the chance to save when you buy all three books together. In Take Control of Upgrading to High Sierra, tech expert Joe Kissell has updated his stellar advice on upgrading to the latest version of macOS. Learn what you need to know to make the process go smoothly and efficiently, and what has changed from previous versions of the operating system, like the new file storage system Apple is introducing in High Sierra. Once you’ve successfully installed High Sierra, learn all about it with Take Control of High Sierra by Scholle McFarland. This expanded version of Scholle’s popular Crash Course on macOS (previously on Sierra and El Capitan), makes the book a more substantive look at what’s in store with High Sierra. Find out about all the changes to your Mac’s apps and system-wide tools, learn useful tricks that may be not be obvious at first glance, and handle troubleshooting using Scholle’s expert advice. Take Control of iOS 11, by TidBITS Managing Editor Josh Centers, also expands his Crash Course on iOS to give an even more thorough survey of everything that has changed in the new iOS. Learn about major changes to Control Center, about the new Instant Markup features, and the Files app, which offers access to files stored in iCloud and on your device. Find out how iOS 11 is a game-changer for the iPad, with new features that take it one step closer to being a peer to the Mac. You can purchase any of these books individually, or save $14 when you buy all three together. Plus, once High Sierra and iOS 11 officially ship, we’ll release free updates to all three books, to cover what changes between now and then. Get ready for Apple’s fall operating system releases with the invaluable advice of Joe, Scholle, and Josh, and save money doing it! We appreciate your continued support of Take Control and our authors! Blog • FAQ • Contact • Privacy Orders are processed by eSellerate on a secure site. © 2017 alt concepts inc.
Good day, fellow Apple aficionados! We felt like having a big sale, but couldn’t find a good hook for it. Sure, tomorrow is World Backup Day, and Joe Kissell’s excellent Backing Up Your Mac: A Joe On Tech Guide is the latest incarnation of Take Control of Backing Up Your Mac, which was one of our most popular books of all time. But you’re all backing up now, right? Right?!? So no hooks, just a straightforward 50%-off sale on all Take Control books through April 9th. All our books are DRM-free and available in PDF, EPUB, and Kindle formats, so you can get the real-world advice you need wherever, whenever, and on whatever device you like. The whole “Turkish hacker gang” thing seems to be just a bunch of hot air, but data breaches happen almost weekly now. You have little to worry about if you generate and manage strong passwords in 1Password, and Joe’s Take Control of 1Password will help you with that. To ensure you have nothing to worry about on key accounts, turn on two-factor authentication, which his Take Control of Your Passwords explains. Stay safe out there. Apple totally can’t stop toying with iTunes, but Kirk McElhearn’s Take Control of iTunes 12: The FAQ was completely up to date until last week. Luckily, the only noteworthy changes are iTunes rentals being available on all your Apple devices, playlists opening in their own windows, and a redesign of the MiniPlayer. 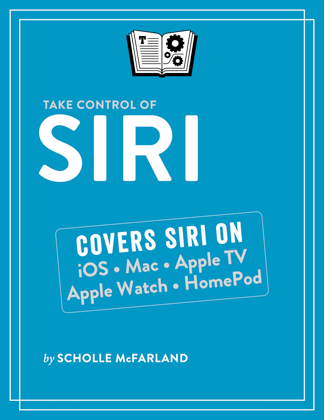 Keeping up with Apple’s operating systems doesn’t have to be difficult, and Scholle McFarland’s Sierra: A Take Control Crash Course and Josh Centers’s iOS 10: A Take Control Crash Course are the key books you should turn to for core Mac and iOS documentation. They’re packed with tips, illustrative screenshots, and real-world advice. You can’t get any more core than macOS’s Unix foundations, and even while Apple tries to “protect” us all from scary things like the Library folder (hold Shift to see it in the Finder’s Go menu! ), if you study Joe’s Take Control of the Mac Command Line with Terminal, you’ll get super powers. We can promise X-ray vision into the Mac’s file system, navigating nested directories and managing related files with a single command, and mind control over remote computers. Of course, that barely scratches the surface of our full collection, so check out the other gems available for 50% off in our catalog. It’s a great time to stock your Take Control Library with the books that you can turn to for help at any time. And remember, we don't expect you to read everything cover to cover. Instead, use the Table of Contents and Quick Start section to jump instantly to the topics that explain what you want to know. Thanks for your continued support, and the many useful questions and kind comments you've sent over the years. And please, if you would do us a quick favor, spread the word about this sale to your friends and colleagues! Order today at 50% off, while supplies of these artisanally crafted electrons last! Blog • FAQ • Contact • Privacy Orders are processed by eSellerate on a secure site. © 2017 TidBITS Publishing Inc.
Reduce paper clutter with "Take Control of Your Paperless Office, Third Edition"
Take a look around your office. Can you see the surface of your desk? Are there piles of paper on the floor and file cabinets lurking in the corners? Regardless of the decorating implications, could you easily find last year’s tax return or the airline ticket receipt from your last trip? Joe first guides you through choosing your tools, including scanners and OCR (optical character recognition) software, devices and services for storing scanned documents, and apps to categorize, locate, and view your documents. Once you have your gear in hand, Joe shows you how to convert paper into digitized files and gives you ideas for how to organize your workflow. He explains how to develop an efficient approach that reduces the amount of time you spend pressing buttons, launching apps, and otherwise managing your war on clutter. If you’ve already embarked on a campaign to reduce the amount of paper in your life, Take Control of Your Paperless Office has a chapter about reassessing your strategy to make sure you’re working as effectively as possible given recent changes in hardware, software, and services. Plus, Joe discusses using iPhone apps to scan documents while you’re away from your office, creating a digitized image of your signature, and using an online fax service. He even covers switching to paperless billing and bank statements and relying on a paperless postal mail service. Thanks for supporting Take Control and our hard-working authors! Read "Take Control of Your Digital Legacy" to preserve your data for posterity! How do you want to be remembered by future generations? You can make a will to handle your physical possessions, but what about your digital life—photos, videos, email, documents, and the like? 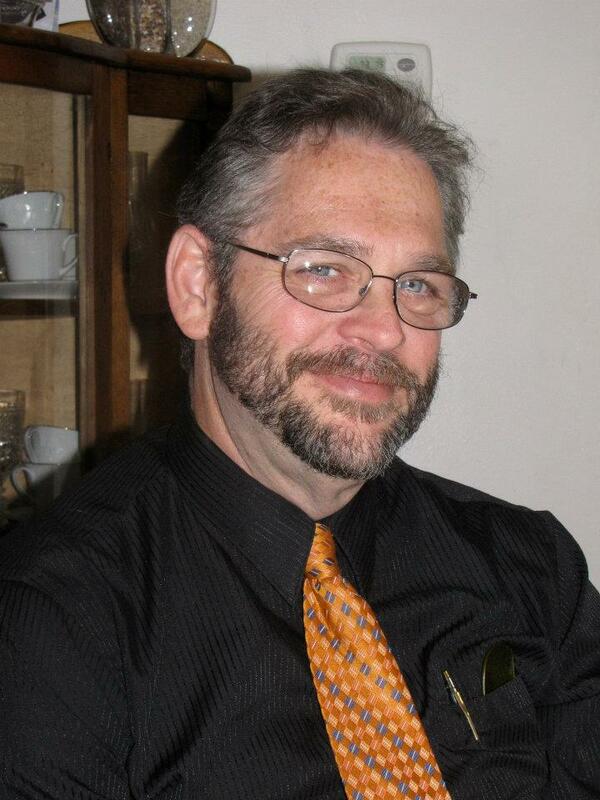 Tech expert Joe Kissell has now written Take Control of Your Digital Legacy to cover many aspects of leaving such electronic ephemera to your family or to an institutional archive as part of your digital legacy. With Joe’s advice in this 127-page ebook, you’ll both get a handle on digital estate planning and benefit today from improved organization—wouldn’t you feel better knowing that if you were suddenly incapacitated, your family could access your important online accounts, like banking, email, social media, and more? And if you’re like us, it’s not just you—we also have to think about our elderly relatives and friends and all they’ve done on their computers over the years. Watch Joe’s video intro and buy the book for $10.50 with the 30% MUG discount. Plan for each type of digital asset based on your priorities for today, for shortly after you are no longer around, and for posterity. Whether you just want to ensure that your heirs can find a few important documents and photos, or you need to catalog and preserve tens of thousands of digital items, this book helps you make smart decisions to get your digital ducks in a row and shape your digital legacy. On a personal note, we’d like to thank some older friends and relatives for providing feedback that helped to improve this book. In particular, Adam’s mother, Elaine Engst, was able to offer a professional perspective based on many years of working as Cornell University Archivist, and Lauri Reinhardt, who always handles our customer support email with a smile, made useful comments based on having gone through much of this for her late mother. Finally, a quick favor. If you have a friend or relative who needs to read this book, please let them know about it. And if you can think of any groups who might be interested, such as those involved with genealogy or estate planning, drop us a line. Thanks for helping us get the word out—this is an important topic for us all! AUG Discounts: Make the most of iCloud with "Take Control of iCloud, Fifth Edition"
Good day, fellow iCloud user! iCloud has become integral to the Apple experience—it’s almost an operating system in its own right, and macOS 10.12 Sierra, iOS 10, and tvOS 10 all rely on iCloud for core functionality. If you are confused by the difference between iCloud Photo Library and My Photo Stream, have wondered if you should use two-factor authentication or two-step verification, or been unsure of what iCloud data counts against your storage space, Joe Kissell’s best-selling book, Take Control of iCloud, Fifth Edition, has the help you need. It’s the comprehensive documentation of iCloud you won’t find from Apple or anywhere else, and with your MUG discount you can pick up a copy for just $10.50, 30% off the cover price. In the book, Joe offers insight into what iCloud is trying to do, while providing steps for key procedures and advising you on the best real-world techniques for integrating iCloud’s many services into your digital life on Macs, iOS devices, Apple TVs, and even Windows-based PCs. “Brilliant and concise information on using current iCloud systems.” —Brian M.
“I just read Take Control of iCloud cover to cover, and it helped me sort out several problems and clear up my confusion on how iCloud works with my iMac, MacBook, iPad, and iPhone. Your book has helped me get more out of my devices and I can see it’ll make my life easier. Thanks for a job very well done!” —Andy S.
“As someone who hadn’t invested a lot of time in setting up iCloud before, I found this book very informative—particularly the information about managing multiple iCloud accounts and the Photos section.” —Kelly G.
Thanks for your support, which makes it possible for us to continue documenting what’s going on in Apple’s new operating systems and online services! MUG Discounts: Take Control of Sierra, iOS 10, and Photos with four essential books! Apple has released iOS 10 and macOS 10.12 Sierra, and we’re pleased to bring you four Take Control books to help you get started with the new operating systems and their shared Photos app. Joe Kissell helps you perform a trouble-free upgrade to Sierra in Take Control of Upgrading to Sierra, Scholle McFarland covers what’s new in Sierra (and much more) in Sierra: A Take Control Crash Course, Josh Centers takes you on a tour of iOS 10 in his comprehensive iOS 10: A Take Control Crash Course, and Jason Snell focuses on the new features of Photos in his Photos: A Take Control Crash Course. The easiest way to pick up multiple books is to load our catalog, click the Buy button under each book you want, and then click one of the Cart buttons. All books are discounted by 30% for MUG members; you’ll see the discount once you click the orange Check Out button in our cart. Thanks for your support — it’s great to be able to channel the excitement generated by Apple’s new operating systems into new books, and we couldn’t do it without you! *The 100-page 1.0 version of this book covers the changes in Sierra, but we’re still finalizing a handful of chapters about existing Mac features. We’ll give all purchasers the content-complete version 1.1 of this book for free very soon. Get the most out of Apple’s Photos app on all your Apple devices! Written by Jason Snell, publisher of Six Colors and former lead editor of Macworld, this book helps you understand Photos’ new machine-learning features like Memories, Categories, and the new version of Faces. It also teaches you how to import (and merge!) old iPhoto and Aperture libraries, set up iCloud Photo Library, organize and edit photos, share photos online, create cards and calendars, and much more. Thanks again, and we hope our efforts help you make significantly better use of Sierra, iOS 10, and Photos! Good day, fellow Mac users! Did you know that Apple makes a powerful image editing and PDF manipulation app? And bundles it for free with every Mac? I can even guarantee you’ve used it before. That’s right, I’m talking about Preview, the unassuming Clark Kent of your Mac’s bundled utilities. In Take Control of Preview, Josh Centers and I reveal Preview’s hidden superpowers. Read this book and you’ll learn dozens of techniques for importing, viewing, editing, and converting images that you can use right away. It also puts you in control of reading, annotating, manipulating, and encrypting PDFs. The book is normally $15, but MUG members can save 30%, dropping the price to $10.50. There’s a story behind this book. Initially, Josh and I thought we’d publish a single article about Preview in TidBITS. As we outlined it, though, we found that a series of articles was necessary to cover Preview’s many features. Those articles proved extremely popular, with eager readers asking for a book version. “No problem!” we thought. However, as we explored features that we had mentioned only briefly in the articles and responded to queries from Tonya and ex-Macworld editor Scholle McFarland, we discovered that Preview was even more powerful than we’d realized. In the end, that handful of articles turned into the 166-page Take Control of Preview, featuring largely rewritten text, expanded instructions, and much better illustrations. Preview’s bones are old-school Mac, with clear menus, a large collection of consistent keyboard shortcuts, and a certain ineffable elegance. It’s almost too understated, concealing its power so well that most people never realize that it’s more than a viewer for images and PDFs. I’d love to meet the Preview developers. For instance, did you know that you can import photos directly from a camera into Preview? Or that Preview can create PDFs from your scanner? Take Control of Preview has step-by-step instructions, complete with explanations of the scanning options and recommendations for the best results. We also teach you all about Preview’s surprisingly capable collection of image-editing tools. You’ll soon be editing imported photos by tweaking the exposure, color saturation, sharpness, and more. You can even mark up your images and PDFs with circles, arrows, and text captions, plus numerous other shapes—try that in Photos! Your holiday cards, Facebook feed, Web site, and more will never be the same. You know you can read PDFs in Preview—PDF is still the most popular format for Take Control books—but are you using the best view? For instance, have you tried a two-page, full-screen mode with the table of contents showing in the sidebar? We explain how to get that view, along with other ways to make reading PDFs as fluid as possible. Since so many paper forms now come in PDF, Take Control of Preview also shows you how to fill out PDF-based forms, complete with quick insertion of your signature. Those who read digital textbooks or collaborate on documents will learn to annotate PDFs with highlights, notes, and bookmarks. You’ll even discover how to create PDFs from a scanner, the clipboard, and the Print dialog. Finally, if you want to protect your PDFs from prying eyes or keep people from copying your text, we explain the two types of PDF passwords and what each is good for. We’ve packed Take Control of Preview with real-world examples from our lives and punched it up with oodles of tips. Preview may look like it’s wearing a rumpled suit and horn-rimmed glasses, but underneath that meek exterior is a super app that’s ready to fly to your rescue whenever you have graphical or PDF needs. Thanks for supporting Take Control, and we hope you’re as pleased as we were when you see all that Preview can do for you! Going beyond basic PDF reading requires tools and skills. Smile’s PDFpen has the features you need and Take Control of PDFpen 8 explains how to use them. A truly paperless world might not be a good thing, but an ever-increasing amount of “paper”—contracts, tax forms, bills, and reports—now comes into our lives as PDF files. We generate this virtual paper too, since it’s so much easier, faster, and less wasteful to save and email a document as a PDF than it is to print and send via fax or mail. Plus, affordable document scanners make quick work of converting physical paper to PDF—I’ve helped my parents scan and email a bunch of documents when they’ve had to wrangle with insurance companies. To learn more about this great book, click on Take control of your PDFs with PDFpen 8. To learn about this great Apple User Group discount, go to takecontrolbooks.com/passwords. iPad protection has always been a primary concern for me. Not only do I want to guard against jarring, weather and normal wear & tear, but I’m also concerned about security, since theft is easy and quick in many places. I recently found a great product that both protects and “hides” my precious iPads. A new family-owned company cleverly named ReAuthored has come up with a unique, practical and effective “book case”. Not a book shelf, but rather a case made from real recycled hardback books . . . their motto is: “same book, new story”. The pages inside are carved out to exactly match any full-sized or mini iPad (or Kindle, or Nexus, or Nook). This ReAuthored case measured a little over 7” x 10” for my iPad mini, and about 9” x 11” for my iPad 3. The interior compartment is beautifully lined with textured black or brown leather, dark or light brown or black floral, or black crocodile (all include a convenient fabric tab for easy device removal). The exterior design includes book categories including art, history, photography, science/technology, sports or travel (or, you can supply your own book of similar size). These books are handmade using the original covers and pages. My iPads fit snugly, and are secured by corner elastic straps inside. (Port or button access can also be cut at an additional cost). On the outside is a large elastic band on the back which is either a neat handhold, or will slip over the front cover to hold everything together for transport. Inside the back cover is a long wide strap with a magnet on the end which attaches to the front cover to hold the book open and secure the iPad upright for vertical use. (A nice touch is the library card inside the back cover with promo bookmarks from ReAuthored co-owners Maha and JC Holmes). This book case is tough and durable, while convenient and highly functional. Whether traveling or at home, this enclosure effectively disguises its contents while providing easy access to my iPads. As these innovators say, “Judging a book by its cover can be a good thing” and being environmentally friendly will “consider it recycling outside the box”. I’ve found theses cases to be useful, and an interesting conversation piece for new viewers. I believe in this product, and advocate for its use. The Holmes family members are committed to producing high-quality products that are responsive and supportive of their customers. They are also caring of the Apple user group community by offering a 20% discount as quoted below. (More product description can be found at http://www.reauthored.com, along with a very interesting Q&A, and owner background). Now you can have your own full-size iPad and/or iPad mini book case from ReAuthored which is truly one-of-a-kind. This case doesn't just look like a book; each one is handcrafted into the pages of a real recycled hardback. Cases are custom-designed around your iPad, then created using only the highest quality materials, tools, and techniques to ensure that their functionality matches their classic form. It's a book, a case, a stand . . . it's tough as nails, and handmade in the USA. The folks at ReAuthored proudly announce an exclusive Apple User Group special on iPad 1/2/3/4 and iPad mini Book Cases. Regularly $59 (US), this exclusive price is $47.20 (US) for any iPad (available in a variety of interior colors and designs in six different book categories). The newest Mac OS 10.8 has been released, and our friends a O’Reilly Media have great resources immediately available to help us get the most out of this latest upgrade. In “The Missing Manual” for OS X Mountain Lion, David Pogue explains all of the exciting new features and how to get the most out of them. As a bonus, in his “OS X Mountain Lion Pocket Guide”, Chris Seibold keeps tips and tricks handy. Here is an overview of each. As their website says: What do you get when you cross a Mac with an iPad? OS X 10.8 Mountain Lion. It’s 200 new features include iPaddish goodies like dictation, Notification Center, and Reminders — but not a single page of instructions. Fortunately, David Pogue is back, with the expertise and humor that have made this the #1 bestselling Mac book for over 10 years straight. Highlights of the book include big-ticket changes like Twitter and Facebook integration, Air-Play TV mirroring, Power Nap, Game Center, Documents in the Cloud, iMessages, Gatekeeper, and more. If Apple wrote it, this book covers it. This publication demystifies the hundreds of smaller enhancements, too, in all 50 programs that come with the Mac like Safari, Mail, Messages, Preview, and others. This must be the tippiest, trickiest Mac book ever written with undocumented surprises on every page. For the heavy hitters, topics include security, accounts, networking, build-your own services, file sharing with Windows —this one witty, expert guide makes it all crystal clear. I’ve been a fan of David’s since meeting him at Macworld over a decade again, and his books are always entertaining and informative. He doesn’t need color illustrations to get his point across because the notes, tips, descriptions, bullets, pictures, “up to speed” and power users’ clinic and other boxes communicate very well. I appreciate the short paragraphs, readable typeface, excellent titling, and dynamic flow of information that makes this both a page-turner and terrific reference manual. There's something new on practically every page of this new edition, and David Pogue brings his celebrated wit and expertise to every one of them. Apple's brought a new cat to town, and this great book will help you make get the most out of your investment. The Ebook (which I now get in PDF format) is only $27.99. For the print version plus Ebook, the price is $38.49 on O’Reilly’s website (http://shop.oreilly.com/product/0636920025634.do). Again, from their website: Get the concise information you need to start using OS X Mountain Lion, the latest version of the Mac operating system. This handy guide goes right to the heart of the OS, with details on system preferences, built-in applications, utilities, and other features. Once you’re familiar with the fundamentals, use this book as a resource for problem-solving on the fly. You get configuration tips, lots of step-by-step instructions, guides for troubleshooting, and other advice—all in an easy-to-read format. It will help you learn what’s new, including improved iCloud integration and other iPad-inspired features, as well as discover how working with multiple devices is easier and more streamlined with Mountain Lion. This is a guide to the Finder, Dock, user accounts, and other essentials, shows how to use Mountain Lion’s system preferences to customize your Mac, and empowers you to take advantage of OS X applications, such as FaceTime and Time Machine. There are even illustrations of how to manage passwords and secure your data, plus work more efficiently with a complete list of keyboard shortcuts. This is the book that I used to carry in my back pocket for quick reference. Now, I access via my iPad 3 (ePub version) for easier storage and guidance. It is much smaller, uses color sparingly (particularly blue), and covers most Mountain Lion features in about 70 pages in move of an overview format. I wish the line spacing were tighter, and the paragraph spacing wider for more pronounced transitions and delineations, thus making the reading flow better. The illustrations, notes, warnings, and text seem well-balanced throughout. Quick Reference is definitely the achieved goal of this treasure. This Ebook (ePub, Mobi, PDF) is a bargain at just $11.99. The print and Ebook version is a little more at $16.49. You will find it on O’Reilly’s website (http://shop.oreilly.com/product/0636920025665.do). I depend on O’Reilly for great publications that support my life and interests. Being able to download ebooks for my iPad 3 and retina display 15” MacBook Pro makes access much easier, and the elimination of DRM restrictions makes storage hassle free. These latest two books continue their fine tradition of excellent publications to meet our needs in a timely and expeditious manner. I highly recommend them. “‘Here’s to the crazy ones. The rebels. The troublemakers. The ones who see things differently. While some may see them as the crazy ones, we see genius.’ Dedicated to the memory of Steve Jobs” . . . so begins the ninth in a series of Missing Manuals, complete with David’s wonderful and irreverent sense of jocularity. As the online description says, with Lion, Apple has unleashed the most innovative version of Mac OS X yet. Once again, David Pogue brings his humor and expertise to this bestselling Mac book. Mac OS X 10.7 completely transforms the Mac user interface with multi-touch gestures borrowed from the iPhone and iPad, and includes more 250 brand-new features. This publication reveals them all with a wealth of insight and detail. Thankfully, it even examines closely iCloud, Apple's wireless, free syncing service for Macs, PCs, iPhones, and iPads. This book is perfect for newcomers and veterans. The reader gets a crystal-clear, jargon-free introduction to the Dock, the Mac OS X folder structure, Safari, Mail, and iCloud. You can learn how to use key new features such as full-screen apps, Mission Control, the new Mac App Store, Launchpad, Resume, Auto Save, Versions, AirDrop, and more. Power users can learn how to set up a network, make a Lion flash drive, and even learn the basics of Lion's underlying Unix. There's something new on practically every page of this new edition, and David Pogue brings his celebrated wit and expertise to every one of them. Apple's brought a new cat to town, and “Mac OS X Lion: The Missing Manual” is one of the best ways to tame it. Because my shelves are full, and my iPad longing for more material, I chose to review the ebook version of this book (both in PDF and ePub). Admittedly, I am disappointed that this version is in black-and-white (I’m a sucker for color displays), but the illustrations are clear and concise, describing well the focus of that section. This is yet another great book from O’Reilly which can be acquired at http://shop.oreilly.com/product/0636920014553.do. A variety of version are available with print at $34.99, ebook at $27.99, or both for $38.49. With all the cussing and discussing of the new Lion operating system, this is definitely the manual that you want that was missing from the download when you updated. I highly recommend David’s latest masterpiece.